UWS utility chest boxes are perfect for a variety of secure storage application. 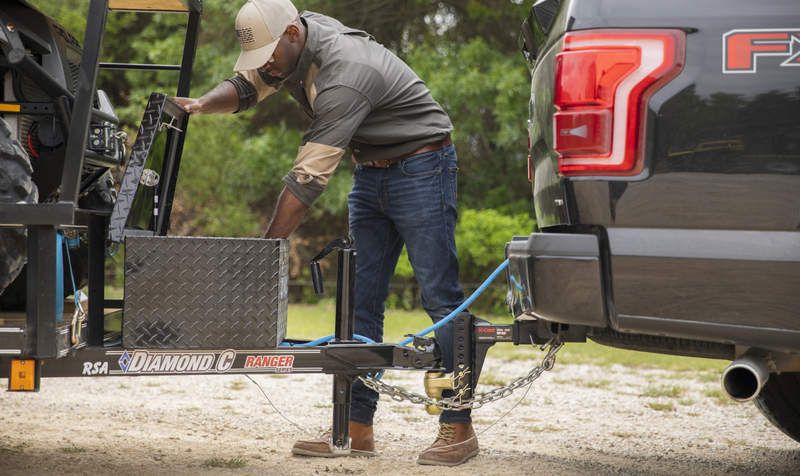 While they make an excellent addition to any pickup truck bed or van cargo area for on-the-go storage of tools and equipment, they are also great for the shop, garage, office, boat house, shed, job site or storage closet. 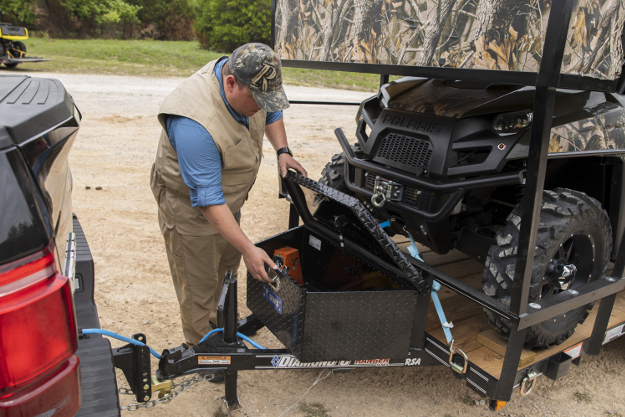 Our utility chests are built with a patented RigidCore™ lid design, extra-thick aluminum construction and stainless steel handles to set them apart and provide long-lasting dependability. We also offer multiple sizes and several different styles for a wide range of applications. 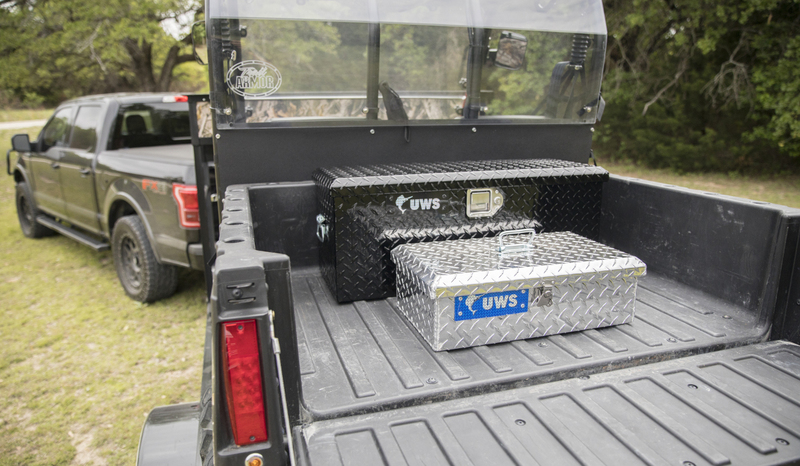 One of the most unique features of UWS utility chests is their patented RigidCore™ lid. The lid itself is filled with a solid foam material, pressed between two plates. This patented technology greatly increases the strength of the lid, promoting smooth operation and preventing warping and binding. The lid is also designed with a MicroSeal™ gasket around the seam, helping to deter water, dirt and pests from penetrating the box. For added convenience, the lid also has self-opening gas struts that assist the opening motion for one-handed operation. To give your items the security they deserve, UWS utility chest boxes are made from extra-thick aluminum. We use a 0.058” diamond plate aluminum, and the pieces are welded together into a single tub, maximizing structural integrity for dependable security. Most of our utility chests and tool boxes are available in two finish options, including bright aluminum or gloss black powder-coated aluminum. This allows you to customize the look of your truck or work space and get the exact style to suit your preferences. UWS utility chest boxes are made with stainless steel paddle handles. These provide key-operated access to the storage compartment. Stainless steel construction ensures long-lasting resilience to corrosion while maintaining excellent strength. For added convenience, many of our chest boxes feature an interior lock rod with enclosure. The lock rod allows for synchronized paddle handle operation for opening the box from either side, and the enclosure helps prevent jamming. Another unique feature of UWS tool boxes is the wide range of sizes and styles we offer. We manufacture several different options to give you the storage solution that suits your preferences and lifestyle. 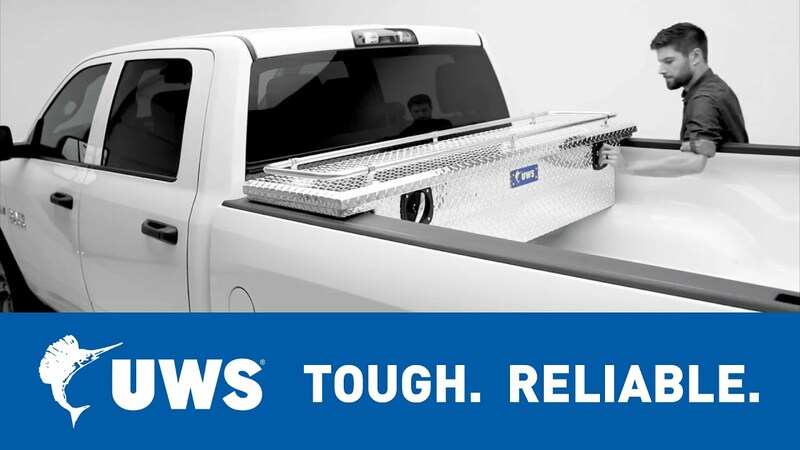 Our notched and wedged utility chests provide optimal storage capacity in the truck bed without obstructing the wheel wells or truck bed accessories. Our 5th wheel tool boxes feature a low-profile design to allow clearance for a 5th wheel trailer. 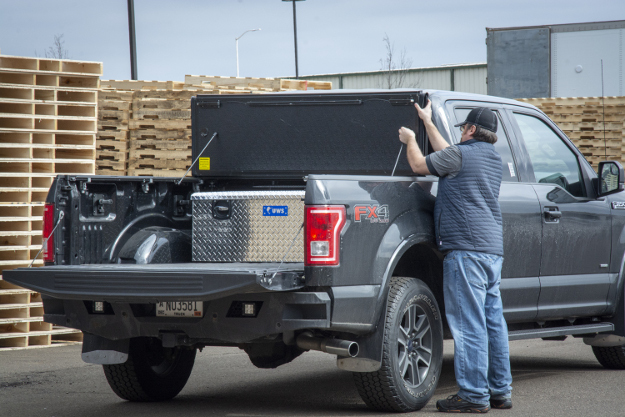 We also offer under tonneau chest boxes for compatibility with most tonneau covers. 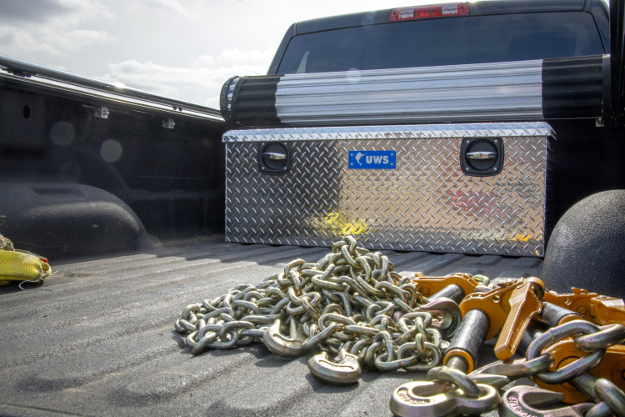 For convenient storage on the front end of your trailer, the UWS trailer tongue box is a dependable solution. 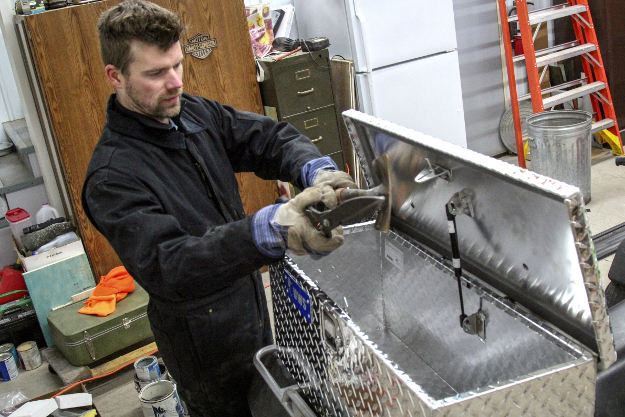 It features the same patented RigidCore™ lid and extra-thick aluminum construction as our other utility chest boxes, as well as stainless steel handles and a self-opening lid. 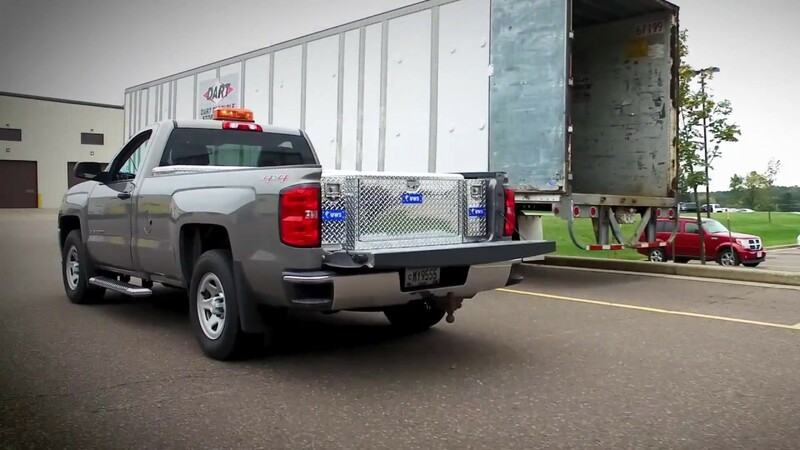 We offer trailer tongue boxes for A-frame trailers and straight-tongue trailers, as well as low-profile options for added clearance as needed. Our trailer boxes are available in multiple sizes and finish options. For versatile storage at home, on the go or on the job, our foot lockers or tote boxes are an excellent companion. Both are constructed with extra-thick aluminum to increase strength while remaining lightweight, and they come with carrying handles for easy mobility.